hina’s trade surplus with the US has never received the same level of attention as it has done during the Trump administration. President Trump has been vocal about how China is encroaching on America’s share in the global market and was adamant to take action. He did. Thus far, he has imposed tariffs twice on Chinese products worth $50 billion. China retaliated with the same. Risk sentiment in the markets was affected and currencies that are sensitive to global trade, such as the Australian dollar, plummeted. Investors and economists were worried that the threat of trade war could hamper global growth. 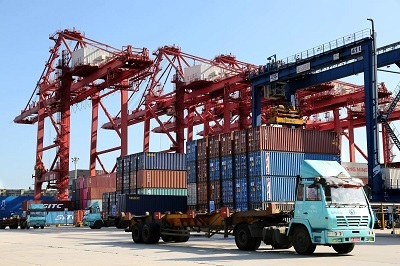 In August (2018), China’s trade surplus with the US exceeded $31 billion. Unsurprisingly, President Trump wasn’t impressed. He responded by imposing tariffs on Chinese goods worth $200 billion. The tariffs consist mainly of duties on consumer goods (23%) capital goods (29%), intermediate goods (47%) and on other goods (1%). Washington’s aim in this war is not only the mitigation of its trade deficit. The US wants to protect the US dollar and preserve its place internationally. This is not only to achieve economic gains but also to prevent dire consequences in case the US dollar weakens significantly, given that the public debt of the US is over 20 trillion and is expected to grow by another trillion next year. A strong US dollar is instrumental to keep funding this enormous deficit. Currencies of Asian economies had strengthened against the US dollar by approximately 50%. Recently, the US dollar regained its strength against those Asian currencies. Currency appreciation or depreciation against other currencies usually involves a massive transfer of value and purchasing power from one country to another. Asian economies need their currencies to regain strength if they want to recover from the effects. Currently, as Asian economies keep growing and contribute more to global GDP, and the US’s economy could be facing another crisis similar to that of 2008, and the only refuge for Washington to defend its declining economic power is to launch a trade war. The effort does not seem to be working. Surplus with China is reaching record highs consistently. China’s influence is growing, as it becomes a hub for growth in neighboring regions. What is worse, increasing protectionism by the US is affecting US businesses negatively, to the point that a coalition has been formed under the name “Americans for free trade” to counter President Trump’s tariffs. Although China is the main target of Trump’s tariffs, it is not the only one. President Trump, with his hardball negotiation tactics and belligerent approach, has managed to alienate key allies such as Europe and Canada. The real risk of his actions comes from the fact that he is undermining the global rule-based trade system, and with that, he is effectively undermining the World Trade Organization (WTO). He went on to launch an attack on the organization directly. 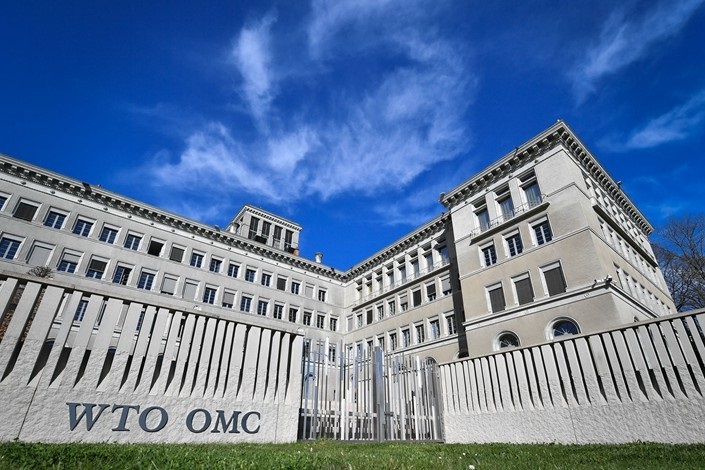 The role of the WTO is crucial for the maintenance of the rule-based trade system and the multilateralism that has served the world well for over 70 years. Attacking the WTO means attacking the very foundation on which global economic stability rests. Economic stability and political stability go hand in hand, and the real threat from Trump’s action is not only the collapse of this beneficial global economic order, but also that it can far exceed and assume the level of an all-out war in extreme cases. This is in the interest of no one, and the international community must unite to prevent such horrid scenarios. Asian economies which have been performing well and which can be considered a model for other economies aspiring to achieve growth, should not be punished for their performance. These economies are leading the way in efficient production and even in technology, the benefit of which goes to everyone. Although China’s trade surplus with the US grows bigger and bigger, this does not mean that the tariffs have not had any impact. Often times when talking about a large macro issue such as a trade war, there is a time interval between cause and effect. In other words, the true effects of the trade war could very well be waiting for us ahead. So far, economic indicators such as the purchasing manager’s index and the equity markets in the US have been showing remarkable performance. Global economic recovery is still on its way. Perhaps market players and investors are optimistic that reason will eventually prevail, and the trade dispute will be sorted out. But given the trajectory of the trade spat until now, this does not seem to be the case. 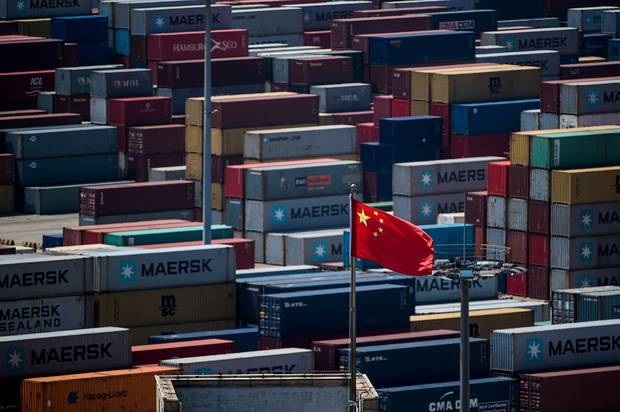 China is not willing to back down on its tariffs placed on US goods. Canada is not willing to back down, either. This could go down in a spiral that threatens international relations and the global economic system. China and the US seem to be locked in a trade war that is not likely to end well if it continues on the same path. It is growing into lose-lose situation gradually, with the entire effects not being felt yet. America stands to lose more with increasing retaliation against its tariffs, and it is bound to become increasingly isolated. Effects of the trade war have yet to be entirely felt for the reason that many investors plan their investments one year in advance, and it takes time to steer away and change direction. But once the effects start to kick in, it can be too costly for the entire global economy, if not too late, to resolve.